Build functional, fat-shredding muscle with these first-responder designed programs. Ever wondered where one gets the stones to charge into a burning building? Or to scale dozens of flights of stairs in that building, only to carry victims out? 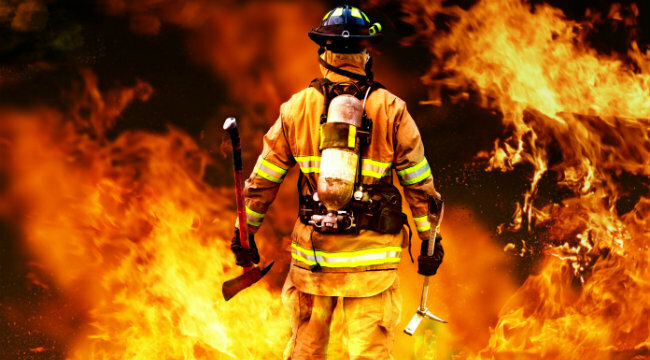 Firefighters are some of the bravest people in the world and know what it takes to get the most from their workouts. 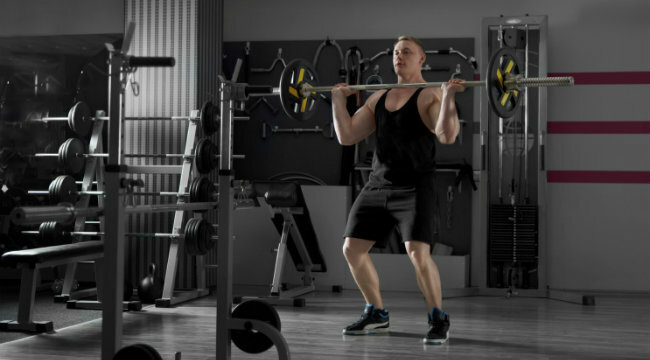 But when it comes down to it, anyone can learn how to make more progress toward their fitness goals if they follow some common firehouse principals. If you think you’re pretty fit and your workouts are tough, try taking a charged attack line into a fire and battling a blaze. Whether performing a search and rescue or digging under a structural collapse, firefighting has many unique demands on the body and being physically prepared before arriving on an emergency scene is extremely important. Between the emergency alarms, firefighters need to be very efficient and effective with their fitness training so they can get the most from each and every workout. By utilizing compound exercises and short rest periods, more work can be accomplished toward that strong, shredded, ready-for-anything physique. These multi-joint movements are similar to real job demands while involving more muscle groups at one time in order to promote calorie- and muscle-building. Another principal used in the fire service that can be beneficial in a workout is the use of a teammate -- someone who can push you past your comfort zone and challenge you to dig deeper. And when you need one, they’re close by for a quick spot or to keep an eye on your form. Just like when fighting a fire, it’s important to understand and listen to your body -- go as hard as you can, taking only short rest periods to recover as needed. By staying focused on the job at hand, intensity stays high while eliminating wasted time. Here are a couple workouts that many firefighters use to stay in the best shape of their lives. 1 Grab a heavy pair of dumbbells and carry them up 10-15 steps. Cable Squat + Row 2 30 sec. Sledgehammer Swing 3 30 sec. Weighted Sled Rope Pull5 100 ft.
2 Stand in front of a cable station holding a neutral handle attachment in a squat position. With your weight on your heels and your arms at full extension, extend your hips into a standing position and pull the handles into your abdomen. Reverse the motion and repeat for reps.
3 Aggressively swing a sledgehammer at a tractor tire for 30 seconds, alternating sides with each strike. 4 Start in a plank position with your elbows and forearms on the floor. One arm at a time, press up into a push-up plank position, then reverse the motion. Repeat the cycle for time. 5 Go hand over hand, pulling the sled toward you. If you have to change direction, do so briefly and work to accumulate 100 total feet worth of pulls. For an added challenge, try using a weighted vest while you perform all exercises as it simulates the weight of the fire gear while on the job. Nick Bolton, NCSF-CPT, NASM-CPT, EMT is the owner of Firehouse Fitness, LLC (www.firehousefitnesskc.com). He is a former firefighter and a MRI/ProLab athlete with over 14 years of experience training clients.